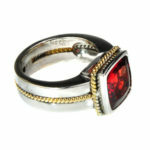 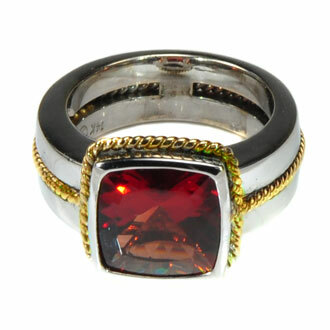 This fun and fashionable ring features a large cushion natural Andesine gemstone which is bezel mounted in the center. The ring is predominantly white gold with a yellow gold “rope detailing” that enhances the look. 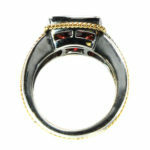 The Andesine is 4.18ct large. 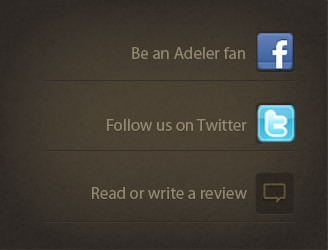 This is a Jorge Adeler original design.